What Are Pocket Folders Without Brads? November 27, 2018in NewsNo CommentsWhat Are Pocket Folders Without Brads? When it comes to organizational storage tools for your school, business, or home, there are two commonly utilized pieces: the binder and the folder. Folders almost always feature two pockets on both sides, and some may come with brads down the center. These brads are designed to help the user hold certain papers in the center of the folder, much like a binder, while you’re also able to store papers in either pocket divider on the sides. You may be thinking to yourself, why would you want a pocket folder without brads when they seem so useful? What is a pocket folder without them? Well, not so fast: folders without brads have their fair share of uses, and you may not need brads at all. To illustrate these benefits, here’s a brief list of ways you can benefit from using pocket folders without brads. If you have a child in school, or if you yourself plan on going back and pursuing accredited online and continuing education degree programs, pocket folders are an excellent way to get organized. Unlike other organizational tools, pocket folders give you a place to store important documents which otherwise don’t belong in your binders. For example, you can store all of your syllabi, passed back papers, grade sheets, and other such documents in your folder. You may also choose to use the pocket folder as an organizational system. Rather than just storing papers in both sides, you could dedicate a specific folder to certain paperwork and store it in the pocket. When you’ve finished filling it out, you can swap it to the other side of the folder to keep yourself on track. When it comes to the uses of pocket folders in school, the options are endless. Don’t make the mistake of thinking that the usefulness of pocket folders is reserved only for school. These versatile folders have a wide variety of applications when it comes to home organization as well. For example, you can use these products to organize incoming and outgoing mail, or to store important documents that you might need at a moment’s notice such as insurance information, medical paperwork, and product warranties. Or you can simply use these folders to store miscellaneous items which have no other designated place in your house. You can also use different colors to further organize your paperwork. The best thing about pocket folders is how they can be prepped and ready to go for any occasion. While we previously brought up organizational methods, you can additionally use pocket folders for advertising. For example, say you’re out at a local event and you have your own vending spot. What better way to give your information out to potential customers than to give them a pocket folder filled with all your business information such as flyers, business cards, and brochures? This gives them a comprehensive look at what you do and what type of services you provide. 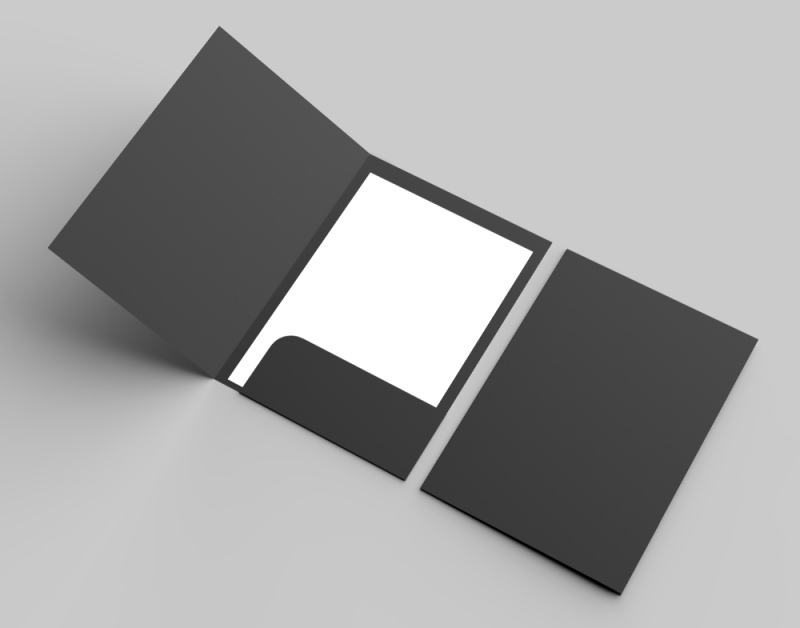 You can even go the extra mile by getting custom pocket folders which show your business logo and impress recipients. Pocket folders are often overlooked, but when you truly think about what they can accomplish, they are extremely valuable organizational tools. Regardless of what your needs may be, pocket folders can help you organize anything from business products to school papers. If you’re struggling to figure out what to do with your pocket folders, use the tips above to get your creative juices flowing.